Dr. McConnell has been recognized by Hampton Roads Magazine in the “TOP DOCS” issue for several years. As a board certified, American Board of Foot and Ankle Surgery Fellow, Dr. Brendan McConnell has been practicing foot and ankle surgery & podiatric medicine on the Virginia Peninsula since 1987. He earned his undergraduate degree in biology from James Madison University with honors. While at JMU he played NCAA football and was a charter member of the Beta Beta Beta Biology Honor Society. 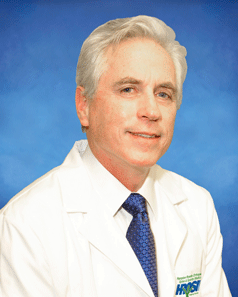 Dr. McConnell graduated from the Pennsylvania College of Podiatric Medicine (now Temple University) in Philadelphia. He was selected for the Stirling-Harford Honorary Anatomical Society. Residency training was at Bon Secours Hospital and Maryland General Hospital in Baltimore. Board certified, American Board of Foot and Ankle Surgery Fellow, American College of Foot and Ankle Surgeons Member, American Podiatric Medical Association American College of Podiatric Radiologists, first prize in recognition of study and research and podiatric radiology. American College of Foot Orthopedists, outstanding student in orthopedics, Pennsylvania College of podiatric medicine He and his wife Debbie reside in Yorktown. They have three sons, Ryan, Adam and Evan McConnell. He has been a past volunteer with Boy Scouts of America and York County Little League. He currently volunteers his services to the Lackey Free Clinic in Yorktown.